Healthy Horizons Family Farm: First Harvest! It has been a while since my last update so we have a lot to catch up on! But let's start with the best news first: harvest of anything other than leafy greens came almost two months before harvest last year. Wow! Combination of grow lights and wood chips which have kept the soil at many degrees warmer than naked soil has allowed many things to get started early. Namely, the broccoli was ready to go! Actually, it and a few other things should have been harvested earlier in the week but I just didn't have the time to make the trip to my parent's house even though it is just a few blocks away. Let's just say life at home is much more complicated without a day nurse. 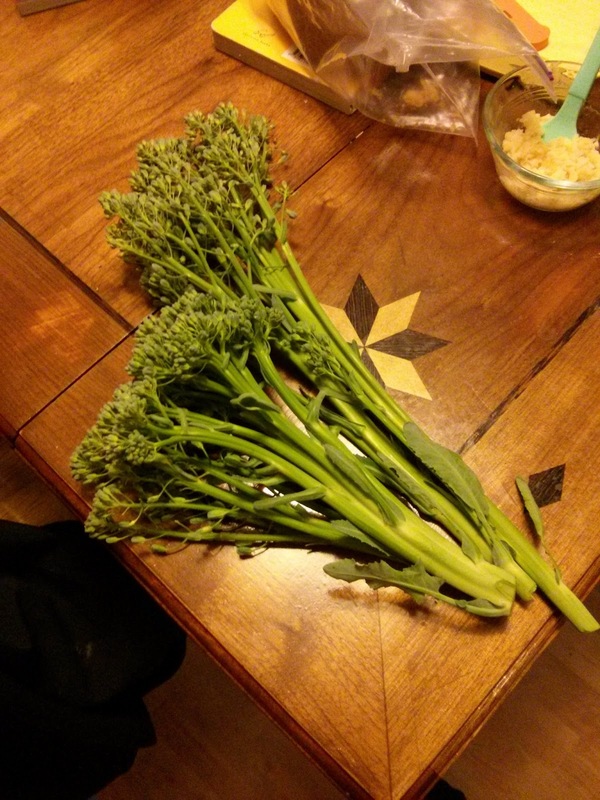 Nevertheless the broccoli was delicious. Who cares whether it's in a tight head or loose stems? I actually prefer the stems. So glad we have more broccoli to come!